Millennium Hotels and Resorts, Middle East and Africa is continuing with its successful expansion strategy across the region with Millennium Place Hotel and Apartments Mirdif, featuring 116 hotel rooms and 128 serviced apartments. This follows the signing of two Millennium Place properties last year, further cementing Millennium Hotels and Resorts position as one of the fastest growing operators in the Middle East and underscoring its commitment to growth within the UAE. Millennium Hotels & Resorts currently operates 32 hotels, has 16 hotels due to open within the next year and 40 hotels in the pipeline across the region. 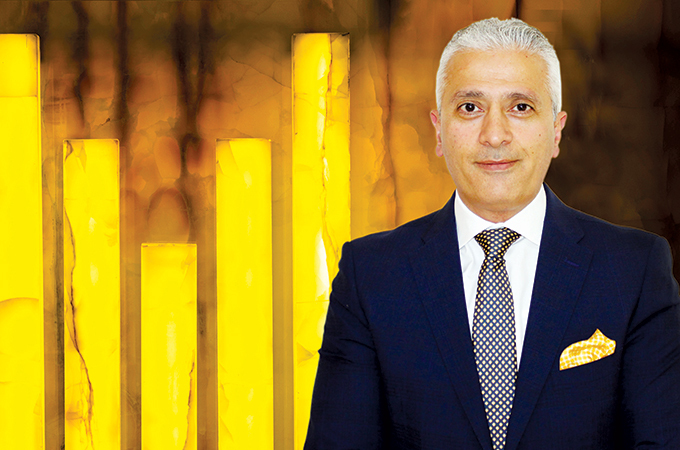 We spoke to chief operating officer Kevork Deldelian for more insight. This has been a challenging year for hoteliers. How do you think this year will end for Millennium, in terms of profits and expansion? 2017 performance was indeed challenging but ended up strong and profitable throughout the region, all our Millennium Hotels and Resorts in the Middle East performed really well in 2017. The overall numbers (ROI) were quite impressive and we are very positive that 2018 will be even better. Our plan of rapid expansion in the region has been in full effect and development in 2017 and 2018, with 32 hotels currently operating in the region, 15 hotels due to open within the next 12 months, and nearly 40 hotels in the pipeline across the region till 2020. Over the last year, we have introduced the M Hotel brand to Dubai and Makkah, launched The Biltmore Collection in the UAE and Georgia, and there are plans to extend the Studio M footprint to as many as 25 urban locations across the GCC in the next five years. We are of course delighted that the first Studio M property in the region will be in Dubai, especially as UAE is a key market for the Group’s expansion. Our vision is to ensure Millennium Hotels and Resorts is the preferred choice for guests looking for hotels that offer consistent quality and value for money by forging ahead with our expansion strategy within key gateway cities and leisure destinations across the region. In 2017, we have successfully launched four properties in the region including M Hotel Downtown Dubai, Millennium Plaza Doha, Millennium Palestine Ramallah, and Makkah Millennium Hotel and Towers in Saudi Arabia. 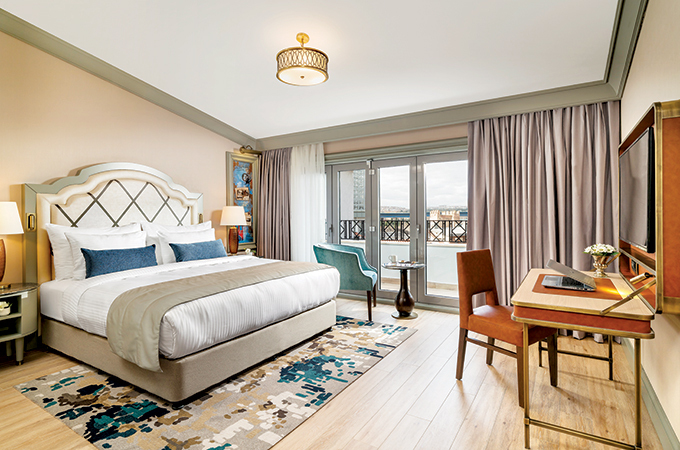 And to begin 2018 on a high note, we will be launching our very first hotel in Turkey with the launch of five-star, 127 key Millennium Millennium Istanbul Golden Horn, located in the heart of the city’s historical centre and the take over of Holliday Inn Downtown Hotel, which will now be under the Millennium Hotels and Resort flagship as Copthorne Kuwait City, both hotels are due to open in Q1 of 2018. Overall, we have extended our footprint across the entire region, establishing a significant presence with a current and upcoming pipeline in the UAE, Oman, Saudi Arabia, Iraq, Jordan, Kuwait, Qatar, Georgia, Palestine, and Turkey. We are growing really fast, which is a very good sign that our brands are performing really well and we continue solidifying our position as one of the fastest growing operators in the region. Tell us about the distribution strategy at Millennium? We have a great team focus on our distribution strategy and I am confident that we are on the right track, with the right team doing the right thing. Each online platforms are significantly relevant for us including our own website, social media, online travel agents and GDS (Global Distribution Systems). The most important platform would always be our website but we would also like to focus and improve all our existing online platforms and see where can we elevate more. What are your views on halal travel? In this region halal travel is not only a trend but an essential part of guest requirements which is why it is a big priority across Millennium Hotels and Resorts in the Middle East. Apart from our growing number of hotels in Saudi Arabia which naturally comply with sharia law, a number of our hotels in the UAE, Oman and Kuwait are dry and offer halal food, while Millennium Plaza Hotel Doha is fully Shariah compliant.